Without a doubt, THC (often called delta-9-THC) is the most widely known cannabinoid of the cannabis plant. Although it is almost completely absent in some – usually hemp – varieties, that barely reach 1%, the drug varieties of cannabis show a high content (up to 30%) of what is the main psychotropic compound produced in the trichomes of the marijuana. Indeed, THC is the most important psychoactive component of cannabis, responsible for the “high” sensation commonly associated with the consumption of this plant and which has made it illegal in most countries of the world. Traditionally the properties of THC have been associated with the recreational aspect of the use of this millenary plant, obviating its therapeutic potential in favour of the multiple medicinal properties of CBD (partly logical taking into account that CBD is not psychoactive and as a result its sale is totally legal in almost the entire world). However, thanks to the continuous research and interesting theories such as the entourage effect (a term coined by S. Ben-Shabat and Raphael Mechoulam in 1998, together with other researchers), it is known that there is a species of synergy between cannabinoids, terpenes, flavonoids and other compounds of the plant, which potentiates and/or modulates their diverse properties. Likewise, the therapeutic effects of THC are being widely studied to date, something that will undoubtedly extend our knowledge about this interesting compound, which is unique to the cannabis plant. Despite being considered secondary metabolites, because their main vital functions of the plant do not depend on them, given their high number of potential medicinal properties, cannabinoids like THC deserve a systematic study. The cannabinoids present in cannabis resin are complex organic compounds that act on our body’s receptors and belong to the group of terpenophenols. This means that they share characteristics with two classes of chemical compounds, terpenoids and phenols. The origin of cannabinoids is explained by the combined action of a phenol called olivetolic acid and a compound called geranyl pyrophosphate, which after reacting produce cannabigerolic acid or CBGA, the precursor of THCA, among others. First isolated in Israel by Dr. Raphael Mehoulam and Yechiel Gaoni in 1964 (from a piece of Lebanese hash) THCA – the acidic form of THC – is created from the action of the enzyme THCA synthase on the cannabinoid CBGA, which, as we already know, is the precursor of several compounds such as CBDA, CBCA or THCA itself. In this way, the plant produces CBGA, which is converted into other molecules thanks to various catalytic enzymes (synthases), thus producing THCA. As soon as this new compound is subjected to heat or light, it loses its acid form, or what is the same, loses a carboxyl group (CO2) and decarboxylates, it is activated and becomes psychoactive . This occurs, as we mentioned, when reaching a certain temperature (as happens when smoking or vaporising) or simply with the passage of time. 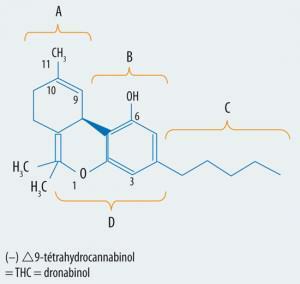 Another compound in cannabis that shares a lot of characteristics with delta-9-THC is delta-8-THC. Molecules like this are called isomers, and they have the same formula as THC minus a small detail; depending on the position of the double bond that is formed between the carbon and hydrogen atoms that make up the cyclohexane ring present in the THC molecule, the resulting isomer will be of one type or another, and with certain psychoactive properties. But why does cannabis synthesise cannabinoids like THC? And why does it produce the resin glands that host them? One of the main reasons could be as a defence mechanism against various threats such as insects, predators, microbes or to protect from the sun’s UVB rays. Although the possibility that cannabis produces THC to protect itself from insects and fungi is accepted by many since the plants lack an immune system, other researchers (Robert C. Clarke) opt for protection against UVB rays from the sun and do not find any correlation in plants between high THC content and high resistance to pests. Indeed, researchers at the University of Maryland confirmed this relationship between exposure to high amount of UVB rays and increased production of THC. The explanation of UVB rays seems even more plausible if we stop to consider that cannabis is a plant that thrives in open spaces with high solar exposure and that blooms during the summer, when the sun it reaches its highest point. Therefore, the plants could have developed this defence mechanism by producing trichomes secreting protective substances. 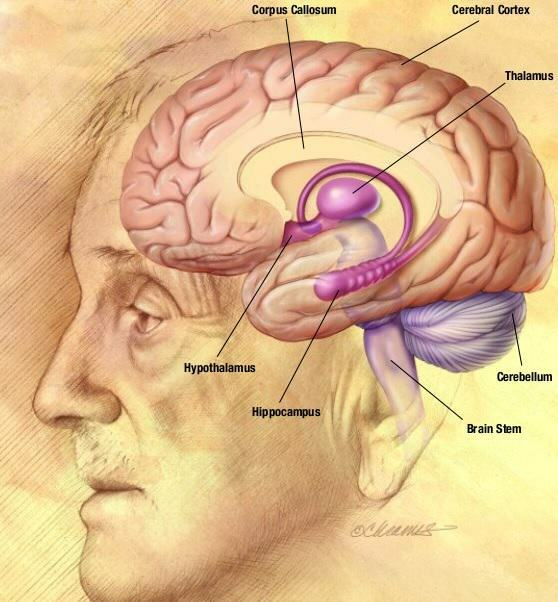 Cerebral cortex: Here functions related to memory, consciousness or thought are performed. THC can alter the state of consciousness, distorting the perceptions of the user and affecting memory, especially in the short term. Hypothalamus: Different metabolic and hormonal processes are controlled. A typical effect of THC is the stimulation of appetite, the sensation of hunger. Brainstem: Controls various basic functions of the body, such as heart rate, blood pressure, vomiting, pain or movement. THC affects all these functions, so in many cases it can be effective to treat, for example, pain or vomiting. Hippocampu : Manages memory and memories. As already mentioned, the activity of THC in the brain can lead to memory difficulties. Cerebellum: motor functions, muscle coordination. THC can cause a decrease in coordination, also reducing spasticity. Amygdala: Management of emotions. Reduced hostility, although in some cases THC can cause anxiety, paranoia or panic. In this way, the partially agonist activity of THC in the cannabinoid receptor CB1 (brain and central nervous system) and CB2 (immune system) explains the multitude of effects that this compound causes in important processes such as learning, memory, sleep , the appetite, the perception of time or emotions. However, and being a lipophilic molecule , THC not only adheres to brain receptors but also adipose tissue. 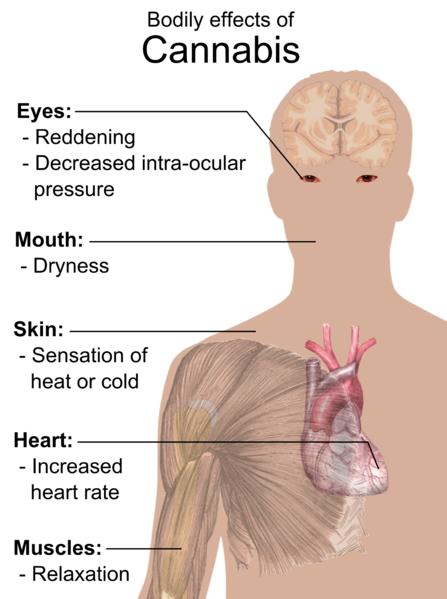 The effect of THC on the organism varies considerably from one subject to another. Thus, there may be cases in which this compound produces anxiety in certain subjects while the same sample produces relaxation in others. In addition, and in the case of consuming cannabis, THC is accompanied by dozens of other cannabinoids and terpenes that also affect our cannabinoid receptors, so the final effect will depend on the synergy created between them and the chemistry of each body. 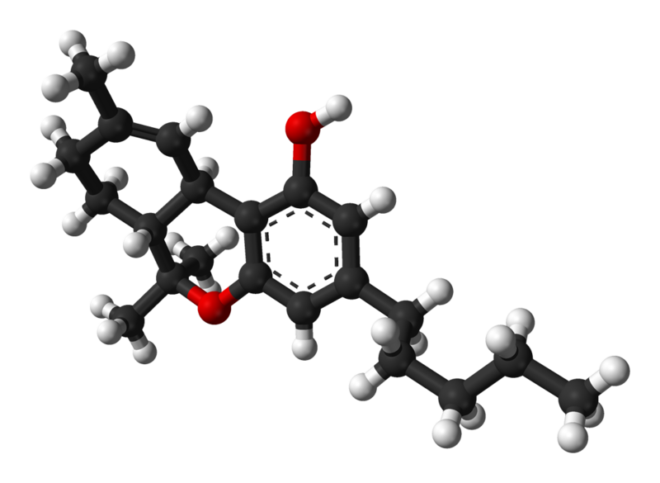 Tolerance: the habitual consumption of THC causes the organism to develop tolerance towards this compound. Therefore, higher concentrations will be needed to achieve the same effects. Memory: the consequences of both short-term and long-term memory are being studied extensively. Psychosis or schizophrenia: studies show an earlier appearance (3 years) of the first symptoms in people predisposed to these diseases, also in adolescents. Bronchitis: derived from the act of smoking. 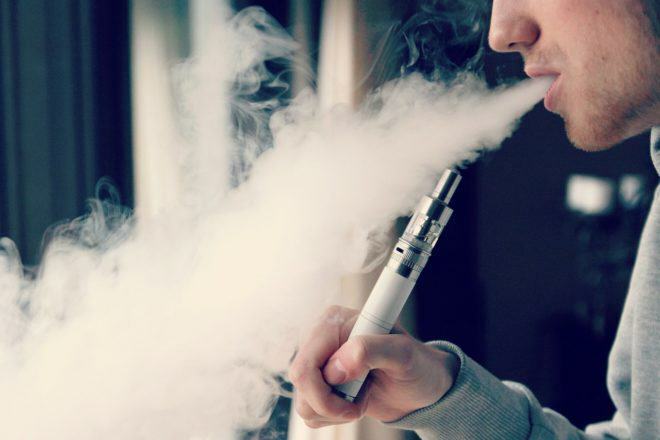 It can be avoided by the use cannabis vaporisers . Cognitive development: it is believed that THC can adversely affect this process, especially in children and pre-adolescents. Myocardial infarction: the effects on the vascular system of cannabinoids could increase the risk of myocardial infarction in people predisposed to it. Thanks primarily to the selective breeding carried out for centuries in the traditionally producing countries and secondly to the creation of the modern narcotic cannabis hybrids developed since the 70s, today there a large number of cannabis strains with high content in THC, although it is illegal to grow them in almost all the world. Genetics such as Remo Chemo by Dinafem , Royal Queen Seeds’ Royal Gorilla , LA Amnesia Chong’s Choice by Paradise Seeds or Y Griega from Medical Seeds are examples of varieties rich in this cannabinoid, all of them with levels testing higher than 20%. Logically, the THC concentration of the various cannabis concentrates is significantly higher than that of the flowers, so hash, rosin or BHO made from these plants will have a very high THC content. 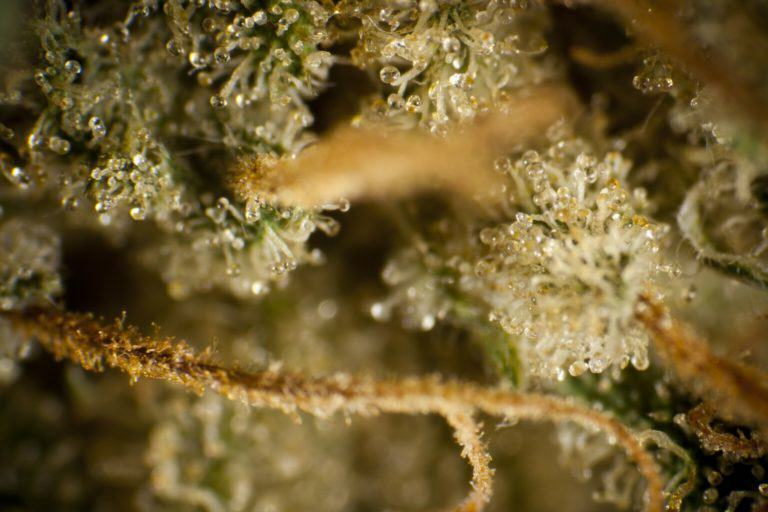 Every grower knows that the THC concentration inside the resin glands (trichomes) grows throughout flowering until it reaches a peak, which is usually when the plants are harvested. This peak will depend on one plant to another (some will reach it after 60 days of flowering, others after 70 days, etc.) and is usually determined by the color of the glandular heads of the trichomes. In our article about when to harvest based on trichome ripeness you will find a complete explanation of this system. THC has been – and still is – one of the most studied cannabinoids for its multiple effects on the organism and therapeutic properties. Its medicinal potential is beyond doubt, although the fact of it being psychoactive means it is classified as an illegal drug in most of the world’s countries. 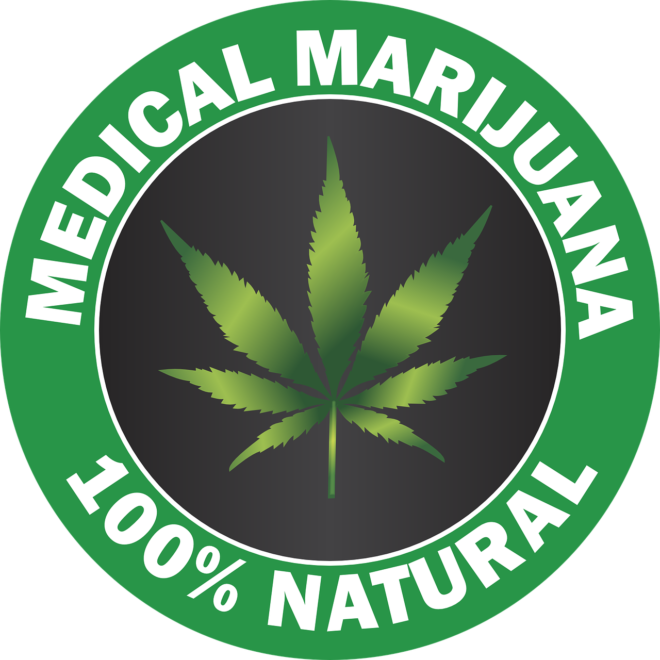 However, and in many cases due to pressure from organisations and associations of medicinal patients, more and more governments seem to have understood and accepted the enormous medicinal potential of THC, especially in reference to using the whole plant, with all its compounds. So the number of countries where it is possible to legally grow cannabis increases with every day, something we support and celebrate. Apart from the existing drugs with THC as the main active compound, the so-called entourage effect has shown that the efficacy of most cannabis compounds is increased when they are used in combination rather than in isolation, meaning that the best way to use them is also the easiest for most patients: to grow the plant. On the other hand, THC’s recreational virtues have accompanied humanity for millennia, and this has endured despite the absurd prohibition instated at the beginning of the 20th century. 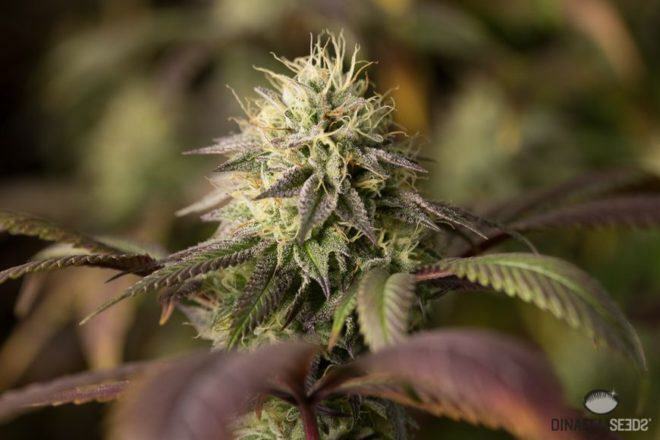 Paradoxically, it was during prohibition when the first hybrids with high THC content were born and when a global industry dedicated to cannabis cultivation was created, with more and more people growing their own plants and becoming self-sufficient. In the not-too-distant future we hope to be able do it within the law too!